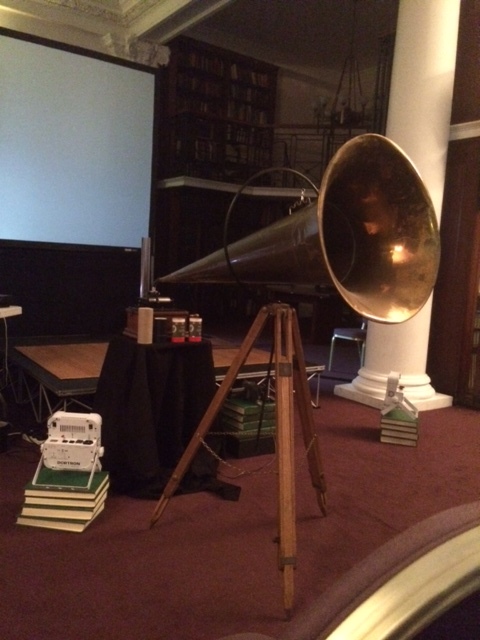 Last night I was at a lovely event – a free concert* in the Fellows Room at the Science Museum (in the Directors Suite) which is part of a two-day workshop on music, noise and silence. This workshop is actually the final one in a series of three so although I’ve managed to miss the other two, thanks to @Therematrix who was one of the performers, I heard about the concert and through that the final free public event later this afternoon. Here’s what’s on today, upstairs in the Director’s Suite – to get to this you don’t go into the Science Museum itself but, if coming from South Kengsington, walk along the tunnel following signs for the Sci Mus and once up the steps and onto the pavement it’s the first door on the left (marked as Director’s Entrance). 2:15: Luciano Chessa (San Francisco Conservatory) ‘A Salvatore Sciarrino, caminante esemplare’: Unexpected Teleology in Luigi Nono’s ‘Final’ Dedication La lontananza nostalgica, utopica, futura (1988-89), one of Luigi Nono’s most celebrated (and performed) works, sets itself apart because its closing gesture unexpectedly unveils a purposeful finality, revealing – and even staging – a distinctively teleological musical form. By considering both artistic and personal preoccupations, this paper investigates its metaphysical significance. 4:30pm: Sally-Jane Norman (University of Sussex), What Noise Annoys an Oyster? The context – and culture-dependency – of what we deem to be music or noise is as problematic as it is widely recognised, and challenges notions of communitas: network technologies give rise to eclectic yet dispersed audiences, while social software and big data tune rhythmic sensibilities to strange new frequencies. This provocation will draw on elements heard and overheard in situ, to reframe them in light of the planned exhibition. Large brass concert horn attached to wax cylinder photograph needle. I wish I’d taken a photograph of Sean Williams analogue synthesiser as he had quite an interesting-looking table full of kit. According to the programme he was “developing and improvising around material and processes derived from Gottfried Michael Koenig’s ‘Funktion’ series” and before this he showed us a manuscript which outlined the instructions for getting the synthesiser to do the various things, ie it wasn’t a ‘score’ as such. It looked like there were a lot of diagrams 🙂 He then emitted a series of wonderful and occasionally alarming sounds and I wondered if the speakers in this rather rarefied looking room were used to this sort of thing. It is quite surprising the number and variety of sounds you can get from tweaking voltages. To finish Sarah Angliss and Caroline Radcliffe performed ‘The Machinery’ which was astounding, never seen anything like it. It was a clog dance developed from a dance devised by Lancashire mill women – “the steps of this nineteenth-century ‘heel and toe’ clog dance directly mimic the repetitive sounds and movements of cotton mill machines”. It was a beautifully put-together piece beginning with Sarah and Caroline performing as call-centre operatives (“Good morning, how can I help today?”… “I just need to check the first line of your address”) which neatly highlighted that repetitive tasks are still part of working life, then segueing into some footage of working machinery parts from the Quarry Bank Mill at Styal in Cheshire, and Caroline began to dance the steps. She’d explained beforehand what we might see in some of the movements, and the rhythm and ‘shape’ of the movement certainly matched the movement of the bits of machinery – it was amazing. 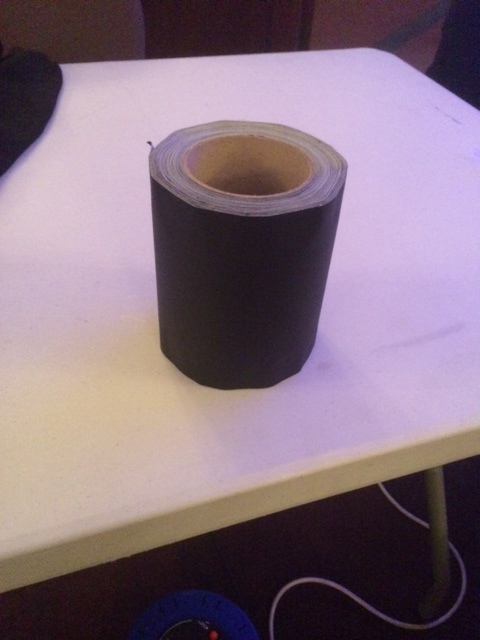 I didn’t know duct tape came in these massive rolls. Very useful for taping down cables of course.